Purely People UK is one of the UK’s most innovative management and leadership training companies, and is led by Lisa Capaldi and Jim Hicks – supported by their experienced Associates. Purely People understands businesses across the Television, Social Media, Advertising and Production sectors, as well as Higher and Further Education, Finance, Transport, Engineering and Technology. Jim is a contemporary Leadership and Management Specialist. With over 25 years’ experience in Brand Management, Leadership and People development, Jim remains a dedicated ‘people person’. He specialises in supporting leaders in the UK to achieve the results they want – working with them to develop their skills and behaviours. He coaches and consults across many areas including General Management, Leadership, Strategy, Operations, Sales and Marketing, Technical, Creative and Education. He is highly experienced in coaching; building confidence, breaking down barriers, realising untapped potential and developing thinking skills to achieve peak performance. 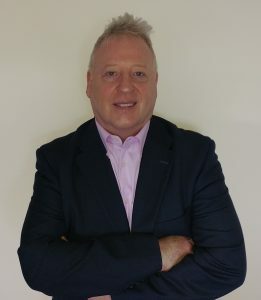 Jim is an accredited NLP Master Practitioner, Psychologist-accredited provider of 360° Feedback, a Qualified Coach and Trainer, as well as being a Director of Purely People UK Limited and a registered member of the Coaching Consultancy (UK and Europe). His previous experience includes being an Executive Director with a PLC where he was responsible for establishing a number of high profile consumer brands in London and throughout the UK. Prior to becoming an Executive Coach and Leadership Development Consultant, Jim worked in senior executive roles including a five year stint as the Group Director of Programmes for Chrysalis Radio Ltd. Under the tenure, he led the strategy and developed key Management and Leadership talent, as well as performance talent at Heart, LBC and other regional stations. Jim began his career as a Presenter and Producer in South Africa. Lisa is a qualified Performance Coach and Trainer. Coming from a successful corporate media background, she has over 15 years experience in Sales and Marketing in Press and Radio. As a qualified NLP Trainer and Master Practitioner, Lisa is passionate about developing individuals to achieve higher levels of performance, both personally and professionally, through the use of one-to-one coaching sessions and consulting. 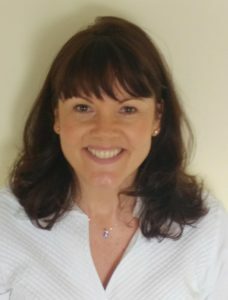 Lisa is also a Psychologist-accredited provider of 360° Feedback, as well as a Director of Purely People UK Limited and a registered member of the Coaching Consultancy (UK and Europe). She is particularly skilled at helping individuals overcome barriers, as well as instilling confidence and self-belief, motivating people to take action. She is an excellent communicator and a dedicated ‘people person’ focused on her clients’ needs in order to achieve personal and professional results. With twelve years as a Performance and Executive Coach across both the public and private sectors, Lisa helps Senior Managers and Directors with the challenges of Managing and Leading today. She also provides ‘fast track’ people development for those newly appointed or new to an organisation. Clients include: Transport for London; The General Medical Council; Markel International Insurers and ITN. Lisa works with a variety of Managers and Leaders, including those responsible for strategic and operational planning and delivery; communications; people Leadership; business development and customer relations. We build positive working relationships with the professionals with whom we partner. This aids the development of potential in people – through trust, openness and mutual respect. Respect and honesty are fundamental to bringing about personal and professional growth. We delight in our partnerships across different organisations and with individuals from a diverse range of backgrounds and abilities.